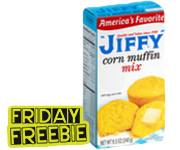 FREE Jiffy Corn Muffin Mix After Cash Back! 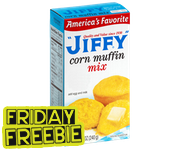 FREE Jiffy Corn Muffin Mix After SavingStar Rebate! 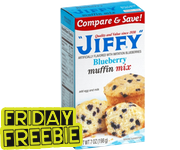 FREE Jiffy Blueberry Mix After SavingStar Rebate! 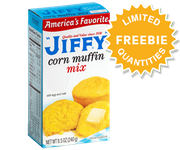 Get 100% Back When You Buy Jiffy Corn Muffin Mix!